Drainage of aggressive water containing chemicals, salts etc. 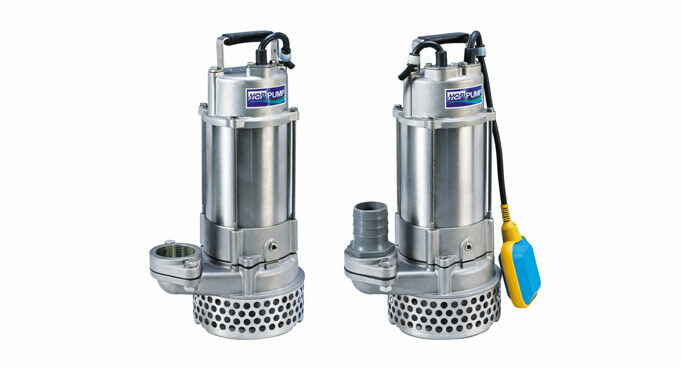 Portable stainless steel pumps, available in either #304 or #316 stainless steel. Fitted with a strainer to screen out large solids. Used to pump clean to slightly soiled demon water. 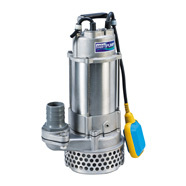 Single phase and three phase pumps can be fitted with a single float level switch to facilitate automatic unsupervised operation. Constructed in ANSI 304 0r 316 Stainless steel with Viton® “O”-rings and seals.